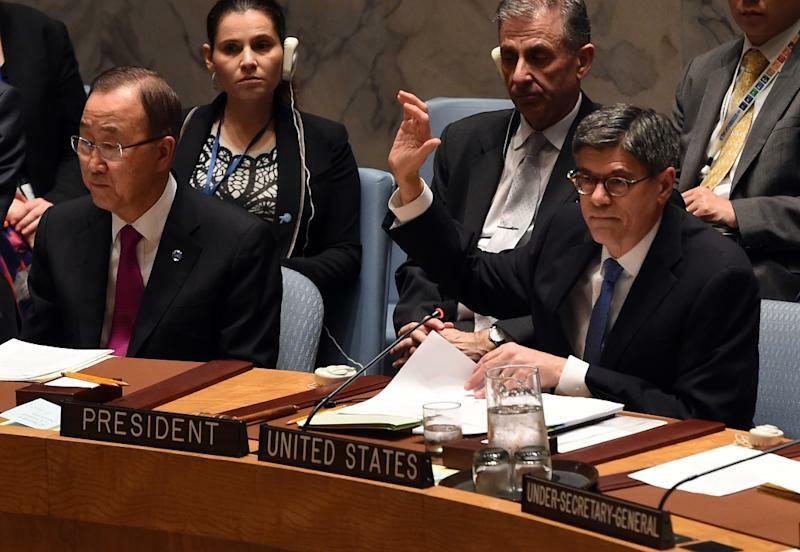 United Nations (United States) (AFP) - Finance ministers from the UN Security Council on Thursday unanimously backed a resolution aimed at ramping up sanctions against the Islamic State group and cutting off its revenue flows. US Treasury Secretary Jacob Lew led the council's first-ever meeting of finance ministers, shoring up a major diplomatic push to end the war in Syria, where IS jihadists control a large swathe of territory and have installed their de facto capital. Drafted by the United States and Syrian ally Russia, the measure will update an Al-Qaeda blacklist by renaming it the "ISIL (Daesh) and Al-Qaeda sanctions list" to signal the UN's focus on the IS extremists. The resolution urges countries to "move vigorously and decisively to cut the flow of funds, and other financial assets and economic resources" including oil and antiquities to IS, and to "more actively" submit names to the sanctions list. 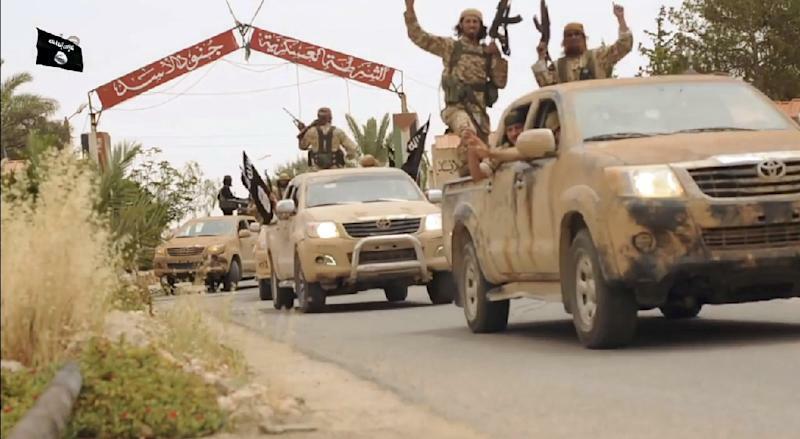 It calls on governments to ensure they have adopted laws that make the financing of IS and of foreign fighters who join its ranks a serious criminal offense. A Russian-drafted resolution on cutting off the extremists' revenue streams was adopted in February, but countries have been slow to take action to choke off funding channels. "While we are making progress to financially isolate ISIL, if we are to succeed we all must intensify our efforts, on our own and together at the international level," said Lew. The latest measure would require all countries to report within 120 days on steps taken to target IS financing. UN Secretary-General Ban Ki-moon will be asked to prepare a sweeping report in 45 days on the IS threat and its revenue streams, focusing also on funding for foreign fighters. 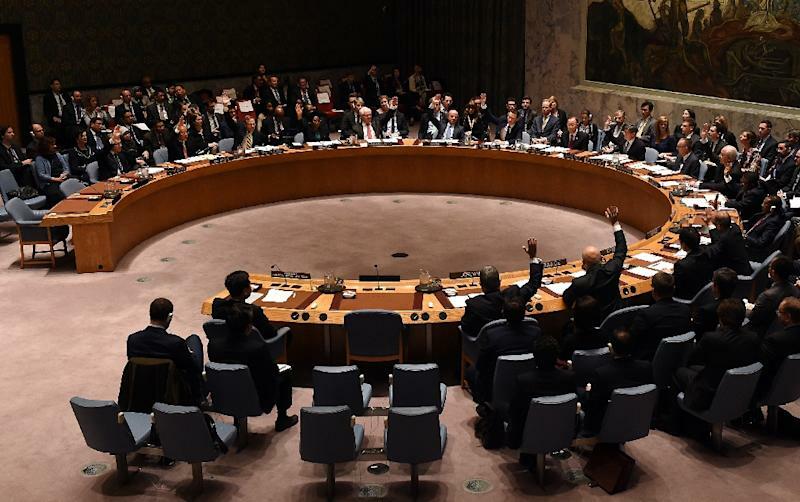 A UN sanctions committee made up of the 15 Security Council member states can impose an assets freeze, travel ban and arms ban on individuals and entities linked to IS extremists. According to the London-based IHS analysis firm, the Islamic State group is pulling in $80 million per month, but Russian and US coalition air strikes on oil facilities are putting a strain on its finances. About half of IS revenues come from extortion and looted property, 43 percent from oil sales and the remainder from drug smuggling, electricity sales and donations, according to IHS. French Finance Minister Michel Sapin recalled that the gunmen behind the November 13 attacks in Paris resorted to online financial services to make anonymous payments and avoid detection by financial watchdogs. "It is vital that information be better shared, as completely and rapidly as possible. Sometimes, a few hours can make the difference in preventing an attack," Sapin told the council. "We must do everything in our power to choke off terrorism," he said. British finance minister George Osborne called for widening the net, to "target the traders and middle men" involved in oil smuggling, which has generated $500 million to IS so far. After the finance ministers' meeting on Thursday, the Security Council on Friday will bring together foreign ministers to adopt a separate resolution endorsing steps toward a political transition in Syria to end the nearly five-year war.